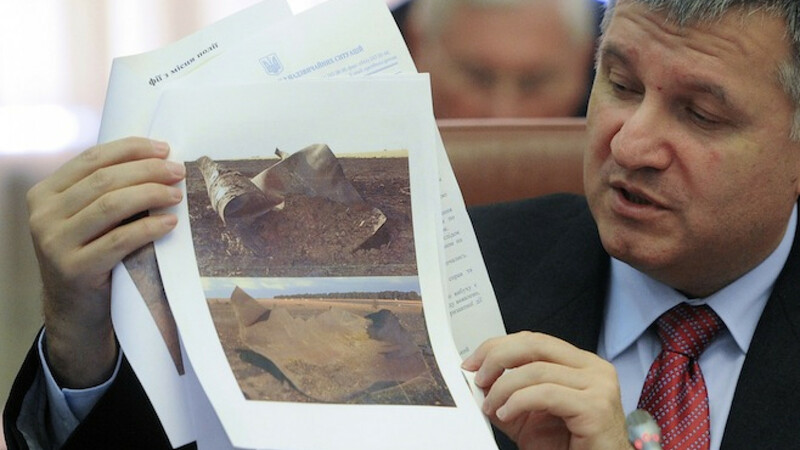 Ukraine's Interior Minister Arsen Avakov speaks as he shows documents with photos showing a damaged section of Urengoy-Pomary-Uzhgorod transit pipeline in Poltava region during a session of the cabinet of ministers in Kiev. Russian investigators have launched a criminal case against Ukraine's Interior Minister and the Dnepropetrovsk region's governor on suspicion of the "organized murder" of civilians in eastern Ukraine, the Investigative Committee said in a statement Wednesday. Investigators plan to explore further charges against Interior Minister Arsen Avakov and billionaire governor Igor Kolomoisky, including the use of prohibited means and methods of warfare, as well as the abduction of journalists and obstruction of their lawful activities, the statement added. The two will soon be placed on an international wanted list. Since early April, the two have "knowingly and with the intention of killing civilians" orchestrated a series of criminal activities committed by Ukrainian troops, the National Guard and the ultranationalist group Right Sector, as well as members of the special "Dnepr" battalion, "which was created and financed by Kolomoisky," Investigative Committee spokesman Vladimir Markin said. Investigators further allege that the pair ordered the abductions of Russian journalists reporting on events in eastern Ukraine. The decision to open a criminal case may have been prompted, at least in part, by the shelling deaths on Tuesday of Russian journalists Igor Kornelyuk and Anton Voloshin, who were reporting from Luhansk for the state-run television network Rossia at the time. In addition to the deaths of journalists and hundreds of other civilians, the events in Ukraine have caused the destruction of more than 500 homes, Markin said. 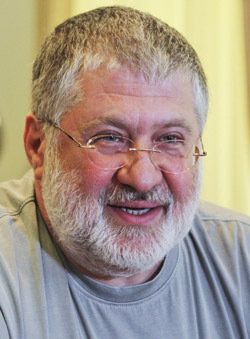 There is solid evidence that "Kolomoisky and Avakov are behind all of this with their dirty money," he said, adding that they are "literally drowning the country in the blood of their fellow citizens." "It is precisely they and their accomplices who organized the crimes of Right Sector and the National Guard, both against their fellow citizens and civilians from other countries, [including] journalists and children," Markin said. Avakov reacted lightly to the news of the criminal probe on Wednesday, writing on Facebook: "Thank you for the high opinion of my and Igor's work. I vow to continue my work and serve Ukraine in such a way that ensures maximum discomfort for Putin's regime." Kolomoisky made headlines on Tuesday for proposing the construction of a wall along Ukraine's border with Russia in order to keep separatists out. He offered to provide 100 million euros to fund the project, though the move was largely shrugged off as a publicity stunt. If charged and convicted, Avakov and Kolomoisky both face life in prison. This is not the first time the Investigative Committee has opened a criminal case in absentia against a foreign national. In early March, the committee launched a case against Right Sector leader Dmytro Yarosh on suspicion of terrorism. Earlier this month, the committee said it was seeking an international arrest warrant for former Georgian President Mikheil Saakashvili based on his policies in South Ossetia.